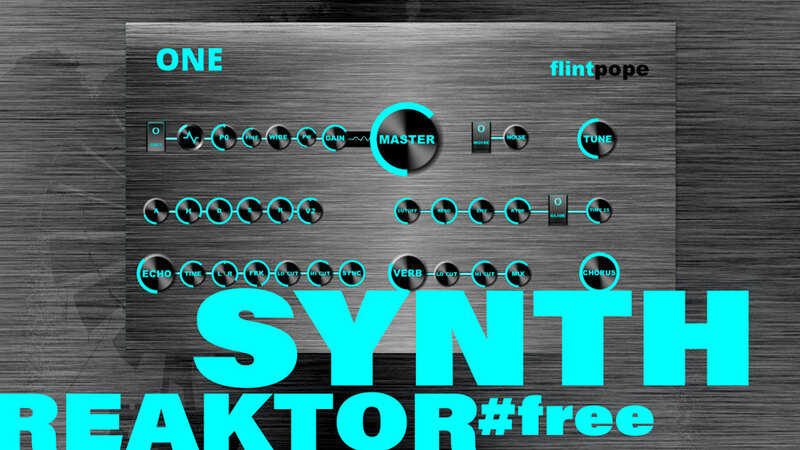 Flintpope has announced the release of One, a free synthesizer instrument for Native Instruments Reaktor. Flintpope says One is a warm analog-sounding eight-note polyphonic synth that uses just one oscillator and various FX to create smooth warm synths and basses. The oscillator features 4 waveforms such as Sine, Triangle, Sawtooth and Pulse (with variable pulse-width). One urges to experimental sound design. The main surprise comes from a deliberately incorrectly wired patch on the oscillator, so that a feedback loop distortion effect is created. The author calls it “Wire” – it simulates the crackling and erratic jumps in volume caused by a dodgy jack-plug in a guitar amp. On a sine wave it produces gargle and on high-value pulse waves, it goes mad. One requires a full version of Native Instruments Reaktor version 6.2.2 and above.